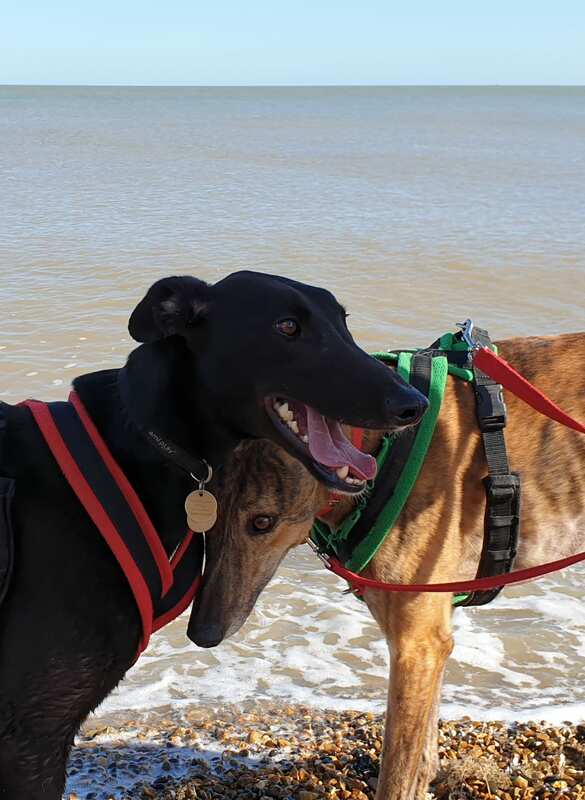 Brandy is a super friendly funny hound – we took him down to the sea and he couldn’t wait to get in – but then couldn’t work out how to get out – luckily he was attached to a lead, attached to a volunteer! When you go up to his kennel you are greeted with a super wriggly worm, with his wriggly bum and waggy tail – he is so happy to see humans. He is lovely with other dogs and he is just a pleasure to take out. Brandy has a pet passport.